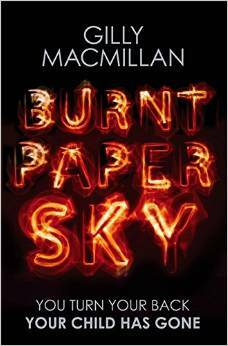 Gilly MacMillan’s debut novel, Burnt Paper Sky (Piaktus) has stormed the best seller lists and quite rightly so. Its tight, descriptive prose, raw emotional power and ability to force the reader into questioning their own morality has resulted in a potent mix of trust and counter trust that will have those who pick it up unable to put it down before the novel is completed. Here Gilly explains the journey it took to complete Burnt Paper Sky to Chris High. With this being your debut, the “relief” of finally seeing Burnt Paper Sky on the shelves must have been immense? Yes, there’s definitely a large measure of relief, although it does come with a dose of nerves too, as seeing the book on the shelves makes you realise that it’s make-or-break time. You can only hope that people will enjoy it. This also comes across as a deeply personal novel. How much did “Write What You Know” play? 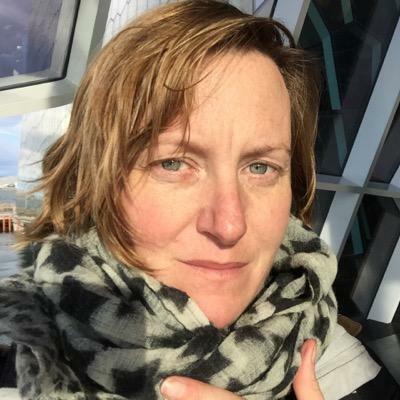 I’m a mother myself and the starting premise of the book was simple: I knew I wanted to write a page-turner, so I tried to imagine the worst possible scenario I could think of through the eyes of a character that I could relate to. The thought of losing a child, without any idea of what’s happened to them, is a nightmarish one, so I started there. One of my children was gravely unwell as a baby so I also know how debilitating it is to live each day with the fear that you may lose your child forever (though thankfully in our case he recovered completely and is now healthy and well), and I suppose I did draw on those memories when I was exploring the feelings of the mother of the missing child in the book. The novel is extremely intense. How difficult was it to maintain the tension throughout? It was definitely tricky, mostly because it’s exhausting to think yourself so deeply into the mind of somebody who is experiencing the things that both my narrators do in the novel. I went for many dog walks, and stepped away from my computer frequently, to get a break from it. Having said that, it felt worth it because I think we all feel our worlds intensely, no matter what’s happening to us, so that level of intensity also felt essential as a way to do justice to the characters and the situation they find themselves in. Trust and the undermining of trust are essential elements of Burnt Paper Sky. How did you set about planning the novel with so many threads to tie together? So here is where I have to admit that I’m very bad at planning, and I began the book with just one side of A4 paper with a very rough structure sketched onto it showing me where the plot points should be. As a result, in the first draft of the novel the entire narrative was from the point of view of Rachel, the mother of the missing child, and it was quite a linear story, told much more simply than it is now. When that draft was finished I realised that I wanted to make it more complex, and to introduce somebody who could be a counterpoint to Rachel’s narrative, and once I’d decided on telling the tale from the point of view of DI Jim Clemo, the fun began. I wrote his story separately, and then began to weave the narratives together, adding in the social media and blog elements as I progressed. It was meticulous, and laborious, and I used many, many post-it notes on the wall of my office to make sure everything knit together. As you might imagine, things had to be rewritten to make it work, and the input from my editor was crucial, but I hope the method I used means that the voices of my two narrators remain as fresh and strong and urgent as possible throughout. I also hope that it helps the reader to feel immersed in the tale, and shifts their perspective in terms of whom they trust as the novel progresses. However, I will admit that I did feel at times that my head might explode! The story is taken from two very different perspectives. What was the biggest challenge you faced in distinguishing the voices of each commentator? The biggest challenge was to depict both of them struggling with the situation they find themselves in, and feeling versions of the same emotions, but not in the same way. It helped that Jim Clemo’s involvement with the case is professional, while Rachel’s is about as personal as it’s possible to be. Even so, both are touched by the circumstances, and that’s partly why I chose to include the transcripts. I felt it was important to give the reader a break from their voices, and also to add some perspective to Jim’s experience of the case. How well did you need to know your characters before committing them to paper? I try to develop my characters before I commit them to paper, but if I’m honest I’m absolutely rubbish at doing that, and they only really emerge once I begin to write. This means that early drafts can be pretty chaotic and often need a great deal of work but it does allow me to follow my gut and let a character emerge in ways that feel powerful and exciting to me as I’m actually writing. How much research did you undertake and how did you view the Christopher Jeffries case, which also took place in Bristol? For my first draft I undertook no research at all because I just wanted to get the book written, so I used locations I know and a set-up that I could draw on my own experience to describe. I got my agent on the basis of that draft and we both agreed that the book needed a great deal of meticulous research to back it up and solidify the plot, so I took a few months to really consider the structure of the book and to research missing children cases. In that time I read a great deal of background material including first hand accounts from law enforcement and families as well as academic papers which give you some chilling insights into facts and statistics surrounding these cases. I was beginning to develop Jim Clemo’s narrative at that stage, also, so I arranged to meet up with two retired detectives who’d spent their careers in or around Bristol and they gave me all sorts of invaluable advice about police procedure and kindly shared many of their experiences with me. I followed the Christopher Jeffries case closely, as many of us did here in Bristol and across the UK, and felt appalled by the victimisation of him by the media. That case, and the media reaction to the mother of Mikaeel Kular, the little boy who disappeared in Edinburgh, were both very much in my mind as I developed the media and social media elements of Burnt Paper Sky. Whether guilt or innocence was proven in the end, traditional and social media swiftly and publicly judged and condemned both those individuals as each case unfolded, based entirely on hearsay and suspicion in the media. I find that sort of lynch mob mentality a frightening thing. Your background is in Art & Photography. When did you decide to write Burnt Paper Sky? I love the visual arts very much, and have spent part of my working life in that area, but my first love is, and always has been, reading. I read constantly, and across a wide range of genres and I’ve done so for as long as I can remember, and I think writing something myself was always there as a kind of low-level ambition that I never seemed to have the chance to explore as life was always getting in the away. As a result, it wasn’t until all three of my children had begun school, and I found myself with some time on my hands for the first time in years, that I began to write Burnt Paper Sky. It felt like a now-or-never moment, as I knew I needed to get paying work before too long, so it’s been an extraordinary thing to see it actually get published, and I still can’t really believe it! What was the biggest lesson you learned throughout the writing of the book? There are two. Firstly, trust your agent and publisher because they are experienced and know the market better than you do, and want you to succeed. Secondly, and most importantly, you have to hold your nerve, because it’s a scary, unpredictable business and nobody can get that book written except you. I submitted my second book this summer! It’s another psychological thriller, and I’m very excited about it because it has a complex, twisty plot and a cast of characters who both thrilled and unnerved me as I wrote it. The action takes place over a short time scale and is intense and claustrophobic. The main character is Zoe Maisey – child genius, musical sensation – who, several years earlier, caused the death of three teenagers. She served her time, and now she’s free. Zoe’s story begins with her giving the musical performance of her life, but by midnight her mother is dead. The book is a story about the wrongs of our past not letting go in the present and how hard we must fight for second chances. It’s called Butterfly in the Dark and, so far as I know, will be published in 2016. The sight of new author’s “child” dropping onto the doormat always provides a trickle of excitement, but when it transpires that the “child” in question is crammed with tension, drama, taut characters and deliciously intricate insight – as is Gilly MacMillan’s Burnt Paper Sky – then the trickle becomes a torrent that refuses to be stemmed. Rachel only turned her back for a second and Benedict was gone, swallowed up by the woods, and now the country have lost as much faith and trust in her as much as she has of those closest around her. This is chilling stuff which has been deftly handled yet not in such a manner as to dilute or sweeten the emotional chord that the author has so painstakingly created, so that each page and point of view becomes a hook with which to nail its point home to the most tenderest of parts. In Rachel, MacMillan has created a character so three-dimensional it is as though she is reading aloud to us at times, ready with a tissue with which to wipe away the tears or to build us a wall to punch out against in our fury. And with DCI Jim Clemo, the full force of the investigation has you at once siding with him and his efforts, then against him and his tactics so that by the climax your head will be so dizzy from the twists and turns it will have you screaming, but all in an extremely good way in deed. Arguably then, not since Sarah Hilary’s Someone Else’s Skin has a debut novel lingered so long in the mind after its completion and it a near certain guarantee that the name of Gilly MacMillan will soon be spoken of in admiring, reverent tones at every gathering where books are spoken of.